Focusing on practical principles or guidelines for arbitrators, this book covers everything a prospective international commercial arbitrator should know about conducting an arbitration in Hong Kong. 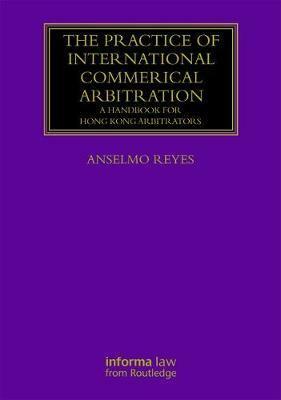 Specifically geared to those interested in or starting work as an international commercial arbitrator in Hong Kong, the book takes readers step-by-step through the problems that are likely to arise in the conduct of a commercial arbitration and in the development of their careers as international commercial arbitrators. Professor Anselmo Reyes is an International Judge at the Singapore International Commercial Court, Asia Pacific Regional Office Representative at the Hague Conference on Private International Law and Professor of Legal Practice at Hong Kong University. He was educated at Harvard University and the University of Cambridge.